Tonight in San Clemente, California, Southern California Edison will be holding the first "community engagement panel" to allow the public to learn about, and provide input to, the decommissioning process. An article this morning at the Southern California Public Radio web site prompted the following comments. The "spent" nuclear fuel at SanO is very difficult to handle right now: It's "poisoned" (the technical term) with fission products (like strontium and cesium) which are extremely hazardous if they escape, and which produce a lot of heat within the fuel rods themselves as they decay. 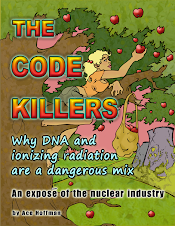 The danger subsides substantially over the next few decades, and then over the next few hundred years, but -- mainly because of the plutonium in the fuel -- it will remain extremely hazardous for hundreds of thousands of years. A single fuel rod, were its contents to escape into the local community due to, for example, a fire or terrorist's action, would make all of San Clemente and probably all of Camp Pendleton uninhabitable. And there are hundreds of thousands of fuel rods in 2,776 fuel assemblies at SanO. Making this stuff in the first place was a horrific mistake and now we can plainly see why: Because even without a meltdown like at Fukushima, we are left with one of the most hazardous piles of poison on the planet -- right in the middle of an earthquake/tsunami zone and a population of tens of millions of people! A rogue pilot flying a large jet -- as we have now seen time and again -- could make all of southern California uninhabitable, all our property worthless, and make millions of us refugees and survivors, and murder tens of thousands of people, condemning them to death by cancer or even by acute radiation poisoning. The term "cooled" to describe spent fuel is relative: The cask temperatures are well above the boiling point of water, which means steam can be created, which can damage the zirconium alloy cladding around the fuel pellets, releasing hydrogen and causing an explosion. Likely? No. Possible? Perhaps. A complex and time-consuming drying process is repeated several times to remove as much water as possible before the casks are welded shut, but still, there will be several gallons of water in a typical dry cask AFTER the process is completed. It's hanging out in the microscopic cracks and crevices of the zirconium fuel rods, which were cracked from the heat, vibration, and pressure variations within the reactor. The alloys embrittle, crack, and, possibly: fail. High burn-up fuel is particularly susceptible to embrittlement, and all high burn-up fuel should be treated as damaged even if no detectable damage is found when the fuel assemblies are loaded into dry casks. (Every assembly should be "canned," which is only required for damaged assemblies by the NRC.) The detection equipment for detecting damaged fuel assemblies is grossly inadequate, but many assemblies are known to be damaged. Dry casks should be behind earthen berms -- large ones! and be scattered so at most only one dry cask could be damaged by a terrorist -- and one is too many, there's no doubt about that. But still, the most important safety improvement would be to close the other reactors nearby: Diablo Canyon is not so far away that a meltdown there would not affect us, and nor is Palo Verde, near Phoenix, AZ. And nor are the nuclear reactors in San Diego Bay exempt from meltdown: They are, however, much more robust (and their fuel, when it is finally removed, is much more hazardous...). But where is this video?